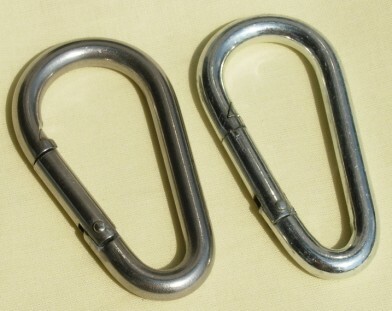 Spring Clip/Snap Hook. Swing connecting hardware. Connects swing chain to swing hangers and tire swivels.